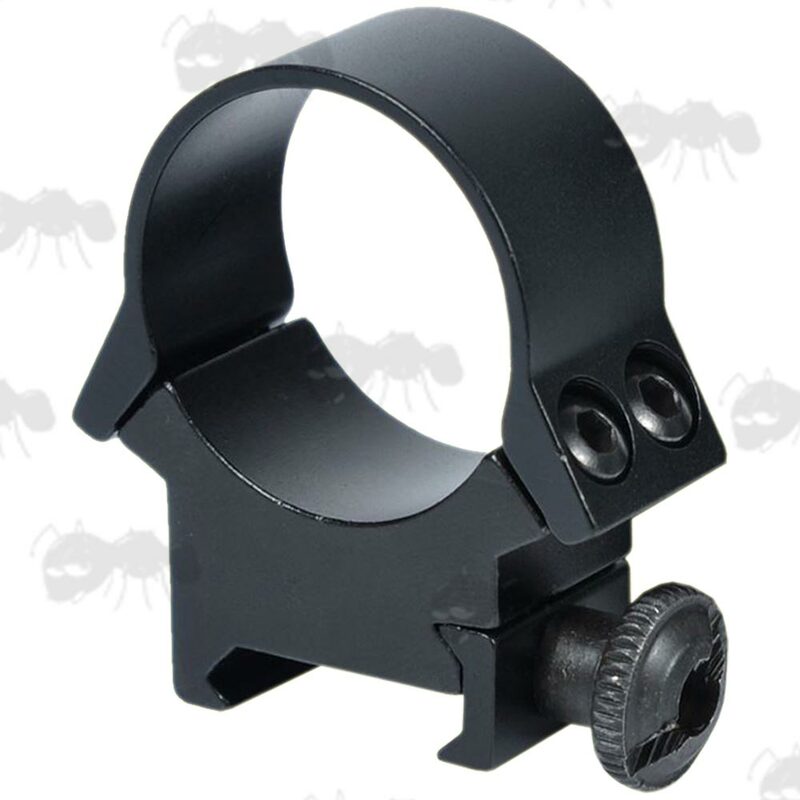 Low, medium and high profile rifle scope mounts. 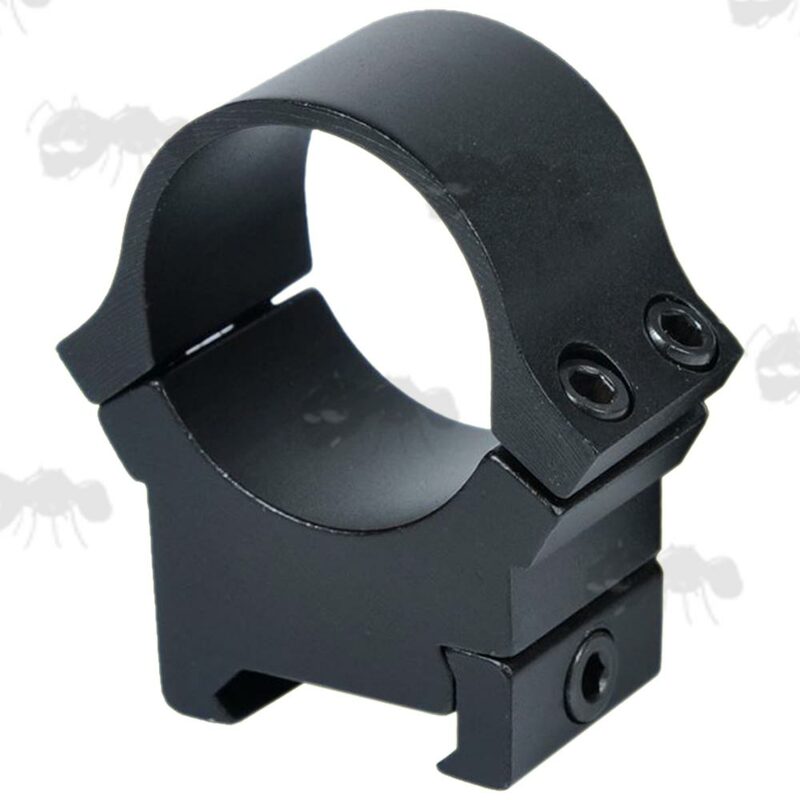 Overall height 40mm, elevation of 7mm. Allen key head clamp bolts. Overall height 45mm, elevation of 13mm. Overall height 53mm, elevation of 20mm. 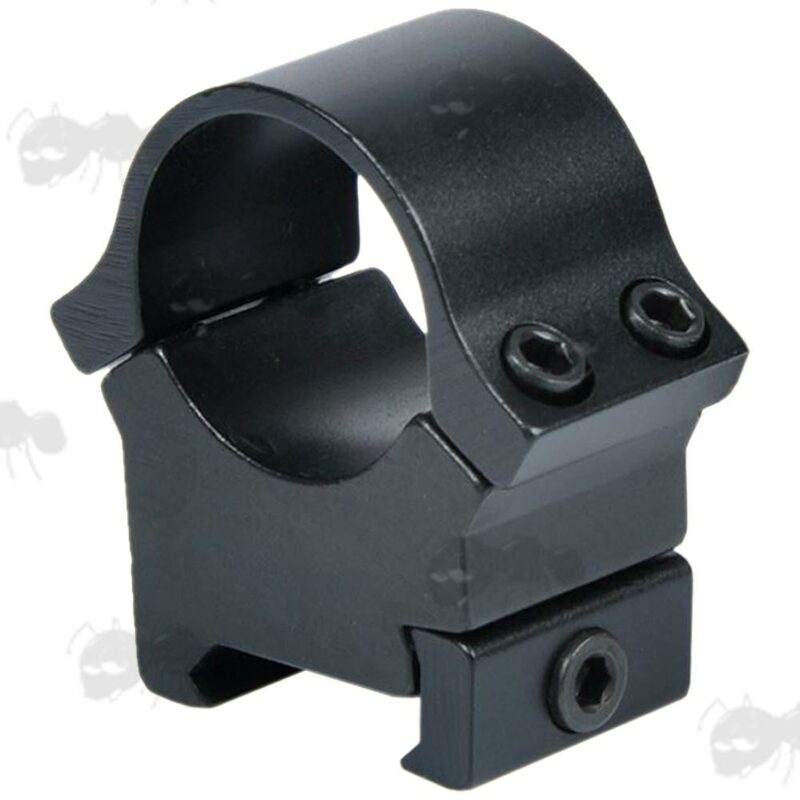 Overall height 47mm, elevation of 10mm. Thumb stud head clamp bolts. 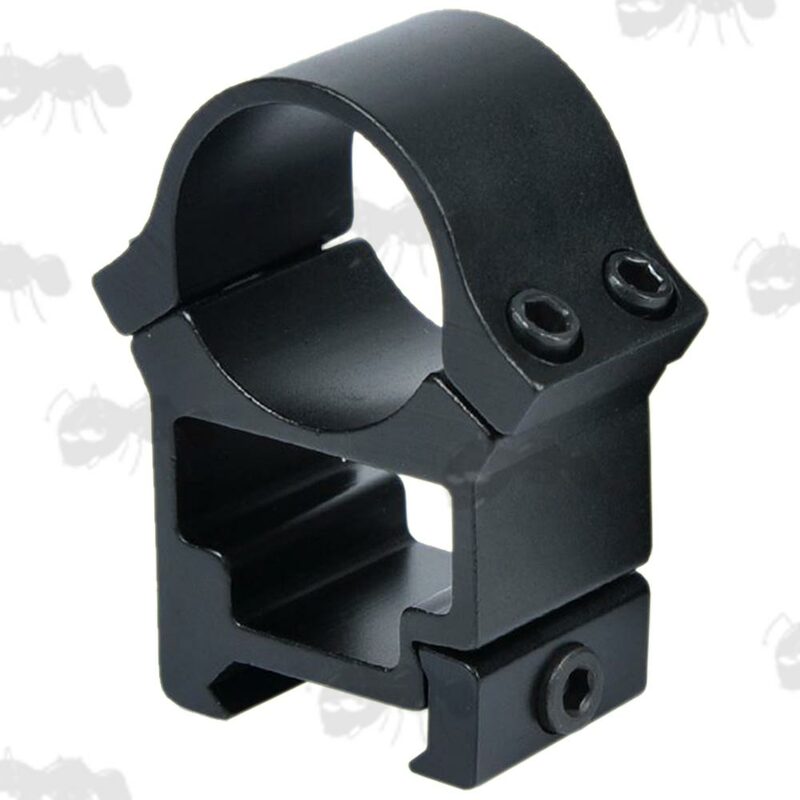 Precision machined high-grade mounts with a matte black finish. 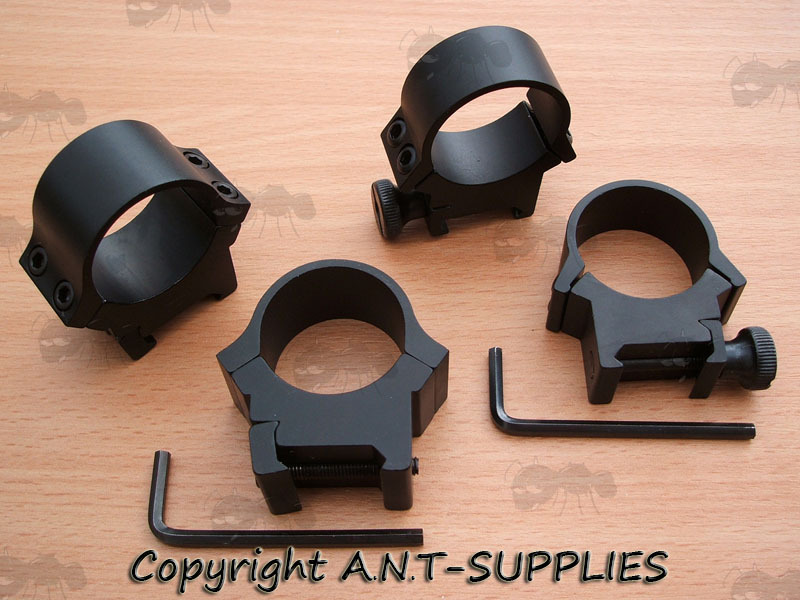 The 30mm versions are also shown below. 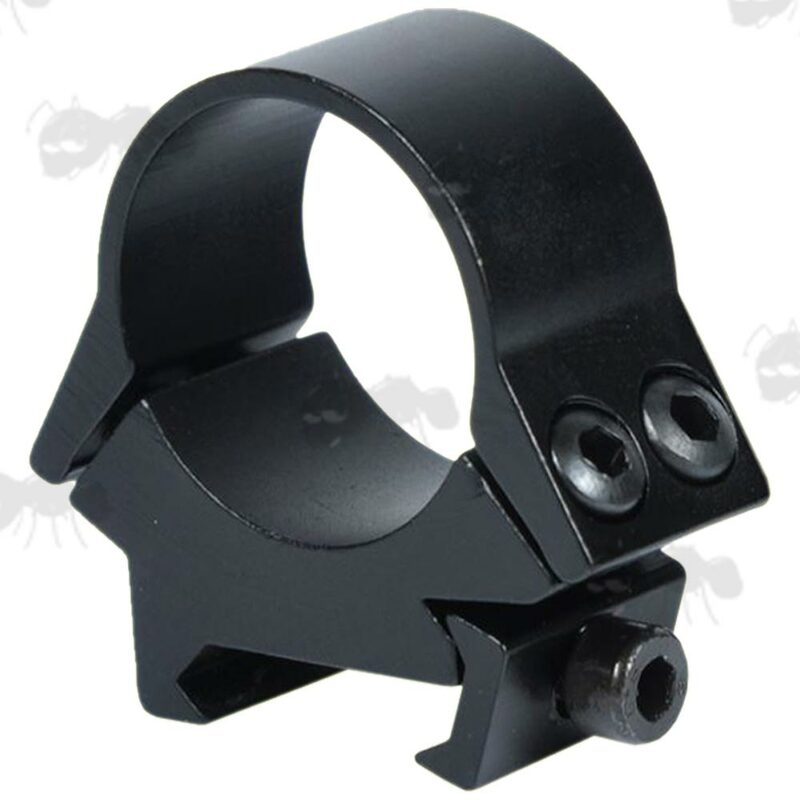 Also available in this style ~ Darth dovetail rail scope rings.